Are you wanting to sell your home but have tenants living inside, no worries we can help. Tenants can be a problem or in other cases great, it’s just time for you to sell the home and move on. Some tenants can cause problems and get you into situations that are hard to come out of. They are either not making payments on time or just avoiding them all together. 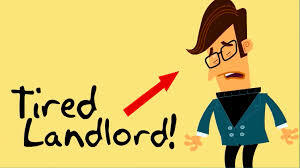 Furthermore, they could just be giving you a tough time and you are tired of dealing with unreasonable tenants. This is every landlord’s nightmare and can happen even when you’ve been trying to work with your tenants. In other cases it’s just time for a new start and your wanting some extra cash in your back pocket. At Win Win Home Buyers we will buy homes with tenants in them, it’s no issue. We will work with you to asset the issue you are facing with tenants and give you a winning cash offer. If you are someone with liens on the property as well, no worries we will buy your home even with liens. We want a win win opportunity for both buyer and seller. We’re here to work with you to create a positive selling experience and get you that extra cash you’re wanting. Here are a couple things that Win Win Home Buyers is willing to help with due to unreasonable tenants. Destructive and disrespectful tenants are a headache but we will work with them so you don’t have to. Tenants can cause damage to your property and it can become very costly to fix. Win Win Home Buyers will fix the repairs at no cost. Tenants also don’t follow the HOA rules like a homeowner would and this can cause the homeowner to pay on those violations which can be very expensive. If you have HOA liens no problem, we can buy your home even with HOA liens. Rising taxes has become a common issue and can eat away at your profits from rentals, we can help you escape this and put cash in your wallet. Call us now, and we can take over your property for YOU, let’s relieve some stress in your life!